Google does a lot of smart things, but it also makes some very bizarre (dare I say, dumb?) decisions. Case in point, YouTube recently changed the way it handles background play, making it harder to end playback from the notification. The "x" used to be tiny, but now it's just gone. Background play is a feature people begged Google to implement for years, and now it exists as long as you have YouTube Red. When you leave the YouTube app while a video is going, it will keep playing audio in the background. This is actually the default behavior for Red subscribers. 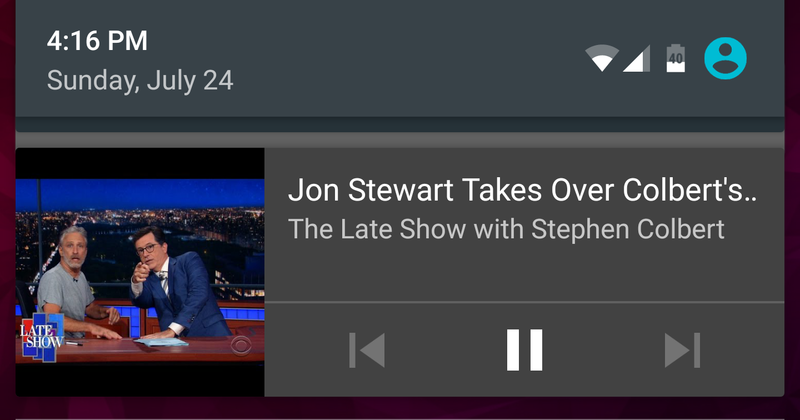 If you want to end playback, there used to be an "x" in the corner of the playback notification. Recently, that became a larger button that was easier to hit (yay), but now it's gone entirely. The notification can't be swiped away, either. Even a paused video can't be cleared from the notifications until it has been left paused for at least 15-ish seconds. So, if you want to clear that notification immediately, you have to open the YouTube app again, leave the video, and then leave the app. This is such a weird decision I have to wonder if it's just a mistake. This could be server-side, so maybe Google will add the button again at some point. If you don't need background play, the app does proactively suggest you disable it in settings. That's probably a good idea.